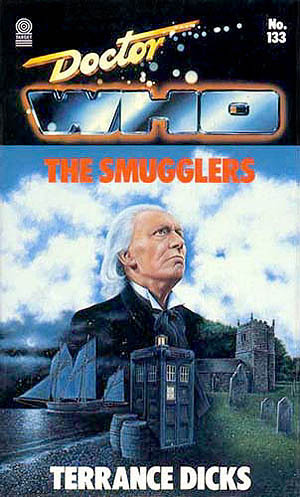 A visit to 17th century Cornwell lands the Doctor and his companions in a smuggling ring and pirates. The Doctor is surprised to find two new companions in his TARDIS as he travels away from 1966 and away from his previous companion, Dodo Chaplet. Naturally, the Doctor is cantankerous but he handles the transition well. The wonderful chemistry that the Doctor had established in The War Machines continued with The Smugglers and it is fun to see them all get along splendidly. The plot, which involves pirates, smugglers, and one honest lawman, was fun. It’s a shame that this episode is lost. Granted, it could be that the adaptation translation was well-written and the episode was poor. Either way, I wish I could see the footage. As this was Polly and Ben’s first outing as official companions, I’d like to report that they handled themselves quite well. Polly has a clever mind and Ben balances that cleverness with a bit of a cheeky attitude and braun. Because this is Early Classic Who, Polly does play the damsel-in-distress part, but, luckily, not as often as one would assume. She holds her own quite well in some of the fights. Ben has the hero part down well. He’s quick to fight for honorable causes or for just simple survival. I had mentioned in the last episode, The War Machines, that this new duo reminded me of a younger Ian and Barbara. I would still agree with that statement as they are fitting into those role quite nicely. Overall, a great adaption and a wonderful first story for the new companions.